Hi everyone! 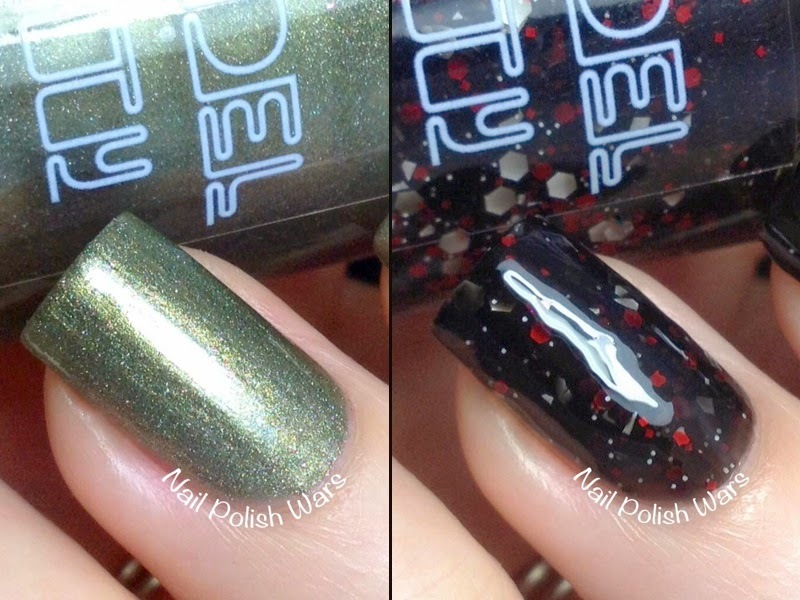 I have two awesome shades from the new Resident Evil Collection from Model City for you today. 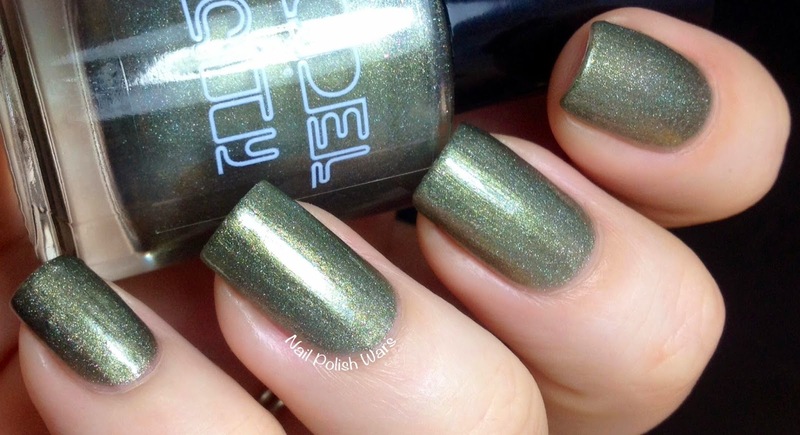 Nemesis is a muted olive scattered holographic. The formula was rich and easy to apply. I really like this shade a lot. 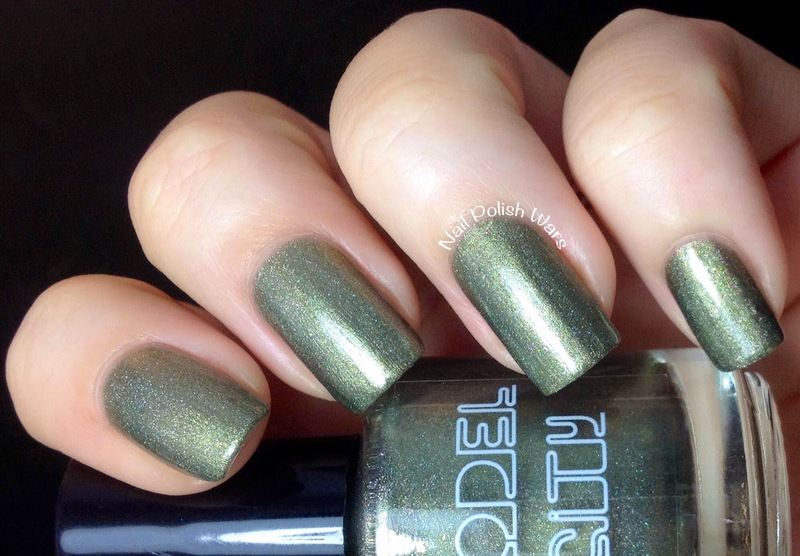 It has a cool tone to it, which is rare for an olive shade. Shown is two coats of Nemesis. 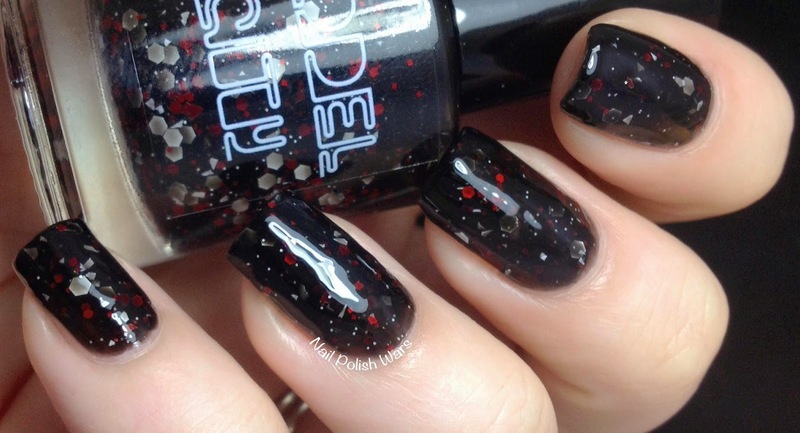 Umbrella is a black jelly loaded with multi-sized hexes and shreds in white and red. The formula was relatively easy to apply, but did take a little finesse in smoothing. I love how vampy this shade is! Shown is three coats of Umbrella. You can find these and the rest of the Resident Evil shades at the Model City storefront here, and be sure to check them out on Facebook for all of their latest updates and collections. Both are such edgy shades! 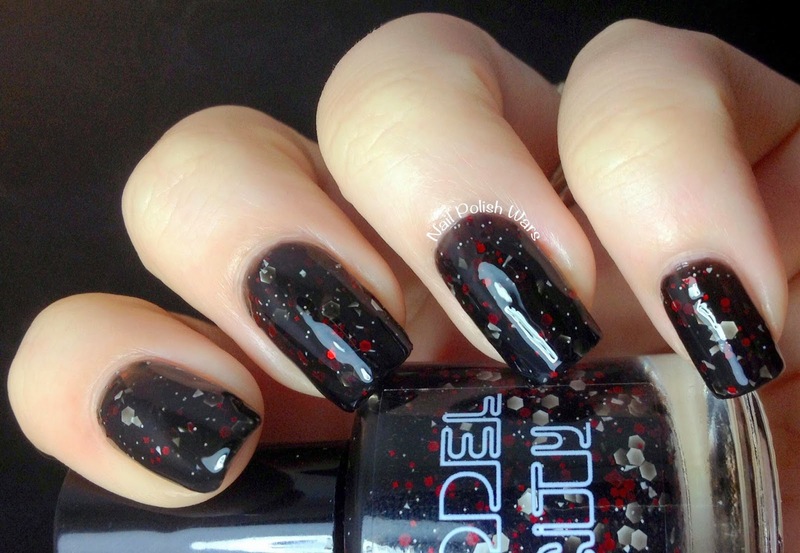 Would love to have both of these polishes. I'm head over heels on Umbrella polish.